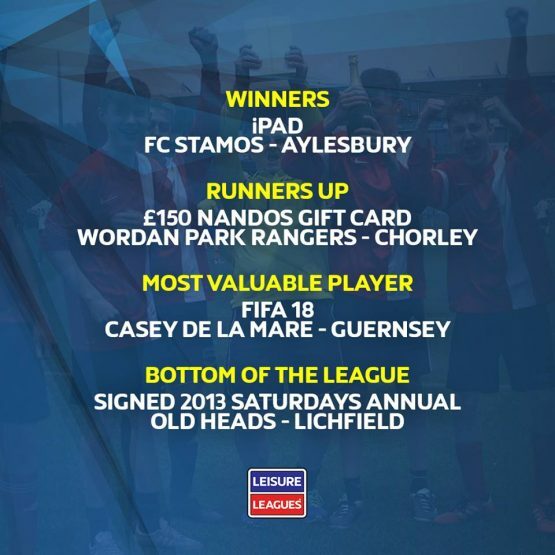 The latest instalment of the Leisure Leagues prize draw took place at Head Office yesterday and it was a cracking show – literally. 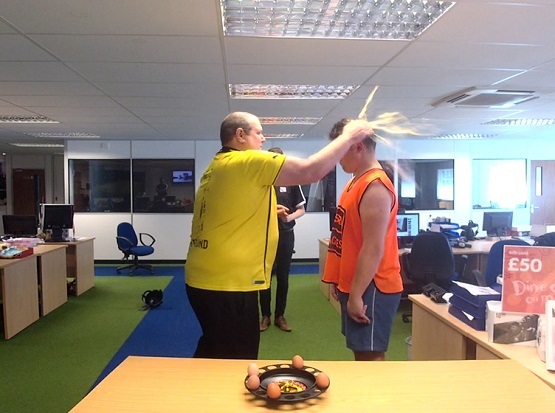 In amongst the prize giveaways, both to the lucky teams who were in the draw and those watching around the world on Facebook, this months food challenge saw two intrepid members of Leisure Leagues staff – Adam and John – take part in a game of “Egg Roulette”. One of the eggs was hard boiled and the rest were raw. Everyone had a smashing time….especially Craig Baker, who won England v Spain tickets for predicting the right outcome and saying Adam would emerge victorious and continue Jon’s loosing streak. 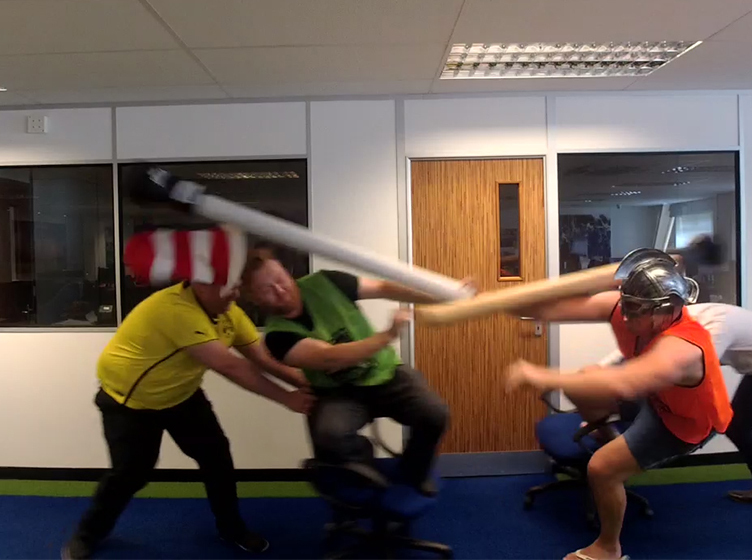 Before all this there was a spot of office jousting to see who was the winner….the reasons for this were unclear, but again, one lucky person picked from the thousands watching took a really special prize – an England print courtesy of our friends at Good Team On Paper, which is winging it’s way to Jack Bush now. Then, of course there was the main reason for the draw. The winners, runners up, MVP’s and Bottom Of The League. 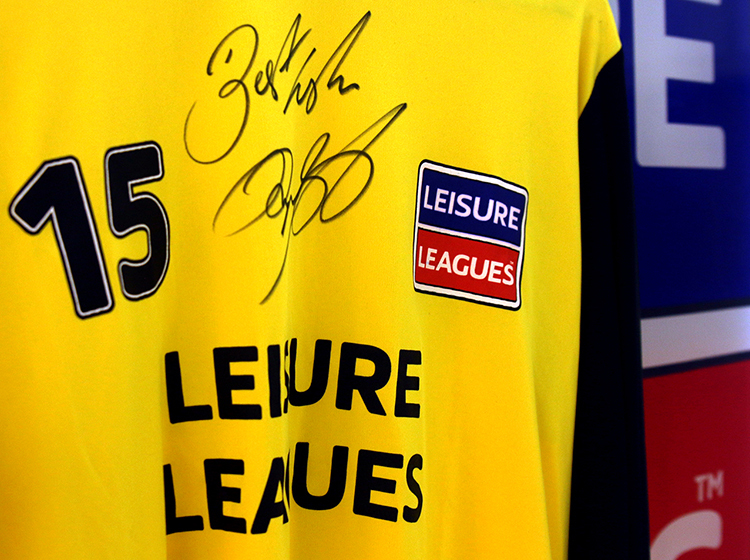 The star prize of the Holiday to Germany thanks to Uhlsport still wasn’t won, but all these were.